Stan Lee turns 94 today. Over the past few years, Stan’s legacy at Marvel Comics has been re-examined in books such as Sean Howe’s Marvel Comics: The Untold Story and a detailed article in New York magazine early this year. This blog even did a modest post on the subject a year ago. Today’s post is merely intended to wish “Stan the Man” (one of his many nicknames when he was Marvel’s editor-in-chief) a happy birthday. Marvel was a lot more than Stan Lee. But he is one of the few survivors of the 1960s when the stories were done that laid the foundation for the Marvel Comics film universe. That doesn’t mean Jack Kirby, Steve Ditko (another survivor), Wally Wood and others weren’t important. Their contributions were enormous (their plotting in addition to their art) and they should be better known than they are. Still, for many fans, Stan remains endearing. He still shows up in cameos in Marvel films. Comingsoon.net said in September said Lee has filmed additional cameos in advance. So, once more, excelsior, Stan Lee. Marc Forster picked up A CAMERIMAGE AWARD last week in Poland. In AN INTERVIEW with Empire magazine, the subject of Quantum of Solace came up — and Forster’s comments didn’t exactly match up with what he said during production. 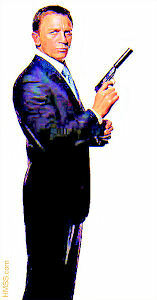 So after that, Quantum Of Solace must’ve seemed like a walk in the park. Not quite a walk in the park (laughs). Barbara Broccoli and Michael Wilson are great producers, the best I’ve ever worked with – fantastic. So you have a well-oiled machine and you’re in such good hands, even though you don’t have a script (laughs). It makes it easier, even when you only have half a script. That was the problem there. You had Casino Royale, which came from the best book by Ian Fleming, and three or four years to develop the script. 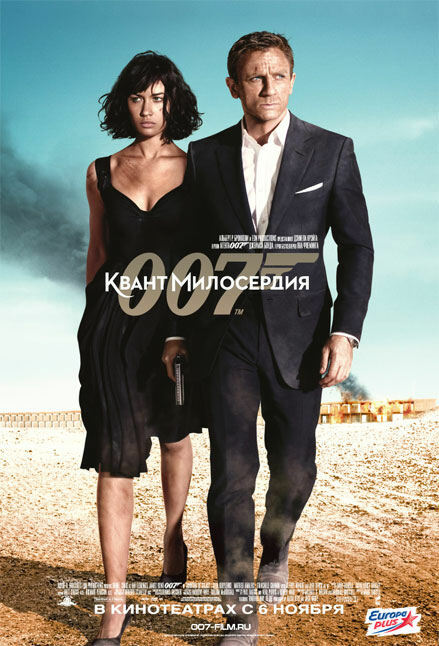 You have Skyfall, another three years to develop a script. We were in the middle – ‘Here, three months, make a movie.’ And as a director you can only do as much as you have on the page. In that case, why did you take it on? Because I believed the script would come. But it never did! (Laughs). At one point I felt like pulling out but I didn’t. Barbara and Michael and Eon wanted to make the movie and I thought we’d pull it off. This, of course, isn’t the first instance or revisionist history with the 2008 James Bond film. Daniel Craig also drastically changed his tune in 2011 compared with what he said in 2008. The main talking point now is that the 2007 writer’s strike damaged the production and everybody soldiered on as best as they could. For Forster, that’s convenient because he can ignore his contributions to the problem — throwing out a script and starting over from scratch and his emphasis on “topics” rather than a story. Forster didn’t specify the topics to Rotton Tomatoes. In another 2008 interview, NEW YORK MAGAZINE, he talked about sneaking political ideas past the Bond producers into the movie. “I question the role that these Secret Service agencies play today—is their role really to protect the country? Or the interest of a few?” Forster told New York five years ago. New York magazine’s editor, Adam Moss, and its star essayist, Frank Rich, engaged in a dialogue on the publication’s Web site about the unfolding phone hacking scandal involving News Corp. and its chief executive, 80-year-old Rupert Murdoch. Inevitably, there were comparisons between the media mogul and the adversaries of a certain gentleman agent. Adam: There really is no one like Murdoch in the world — and no company like his, which manages to be both a rogue operation and a hugely successful corporate behemoth at the same time. That’s a neat trick to pull off. (snip) And News Corp. — what a name! Could have been coined by Ian Fleming (or a whole host of more conspiratorial fantasists). In fact, Murdoch has always seemed to me more like a James Bond villain** — with their placid exteriors and raging interiors — than any other corporate executive I know. He revels in it. Most corporate cultures are bland as a matter of strategy. But not his. Frank: To me, the Rosebud** that animates Murdoch is the “me-against-the-world” chip on his shoulder — he is indeed a Bond villain to the core. To further make the point, the Web site includes a still of Gert Frobe playing the title character of Goldfinger, the third James Bond film. New York, though, passed up the chance to include an image of Elliott Carver (Jonathan Pryce) from 1997’s Tomorrow Never Dies, a character who was a media baron. This clip begins with a scene of Carver addressing his underlings, one of whom was played by Eon Productions co-boss Michael G. Wilson.